The Ultimate Gronk Experience by ROCKSTAR! Check out our 360 Interior view of Yo Soy Fiesta! “When I make it big time I’m getting my own Limo Bus!” These were the words of the Gronk himself in 8th grade to his brothers. And yes he backed up his words with his personal mini limo bus that he travels around in. Bu t now the Gronk and his family are bringing the Gronk Bus experience to you in a Gronk’d up way. The Gronk’s have now designed a 25 passenger Ford 550 limo bus for you to get wild on. The Gronk Party Bus is not your typical Party Bus. This Bus is decked out Big Time with football and Gronk themes. The Gronk bus is 100% customized inside and out by the Gronkowski Family. 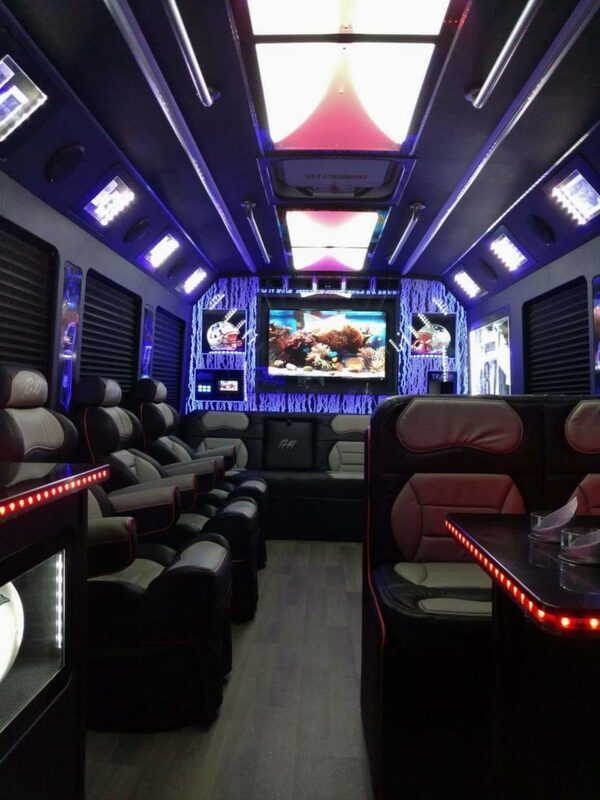 This fully loaded bus is unlike any other party bus with amenities, customization and Gronk gear that you will not find anywhere else. Easily put, the Gronk has designed the superlative party bus and wants you to have the time of your life just like he does after winning super bowls. In Gronks world, a limo bus is imperative to have when getting Gronk’d off the field. Gronk is making it easy for you to take your party to the next level and have the best time ever. If you are a true New England Sports fan the Gronk bus will be one of the greatest experiences you will find. Whether it is a wedding, patriot’s game, or a prom, the Gronk bus will hype up your event like no other. It’s Gronks personal bus that he is allowing other to now experience. “Get Your Gronk On” now!